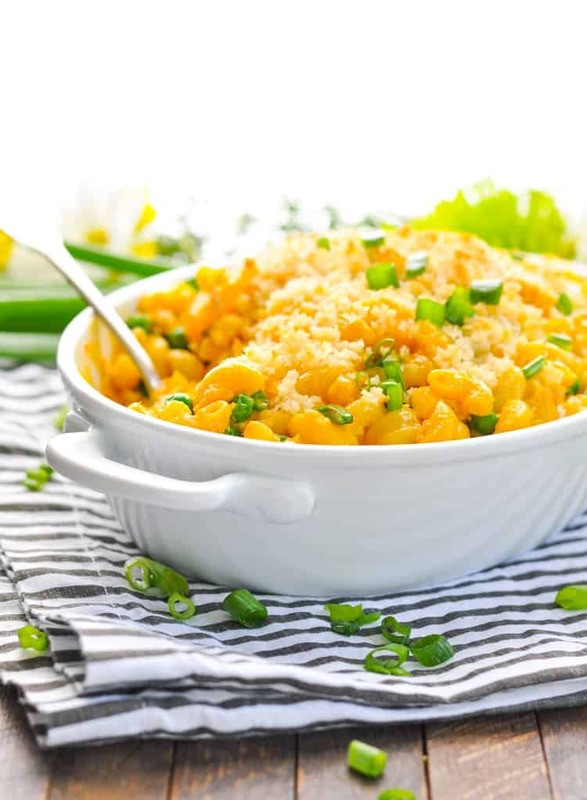 A delicious, nutritious and comforting meal made with only a few pantry staples. This tuna casserole couldn't be easier! Yes, you can actually pull together a delicious, nutritious, and easy dinner with just a few pantry staples! 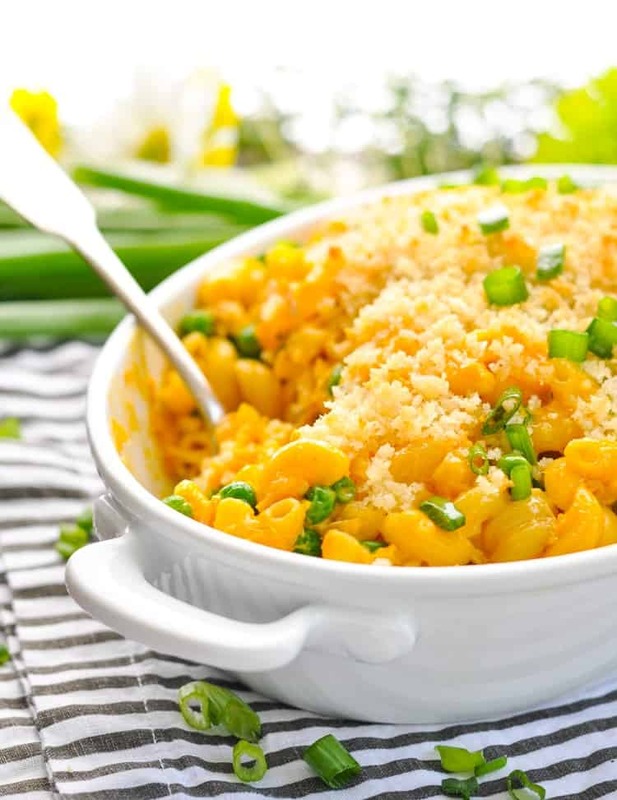 Skip a trip to the grocery store and use what’s already in your kitchen to serve your family this cozy 3-Ingredient Tuna Casserole at the end of a busy fall day! Well, here we are…right smack in the middle of September! So long summer vacations, and hello back-to-school routines! I must admit — I’m enjoying every minute of the quieter house, cooler temps, and structured days. My boys do so much better with a predictable schedule (and so do I)! 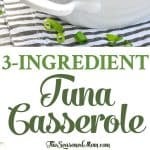 This 3-Ingredient Tuna Casserole recipe originally came from a reader named Sam, who was a member of the 5-Day Meal Planning Challenge that I hosted about a month ago. We were sharing some of our go-to weeknight meals in the Facebook group and Sam mentioned that this is one of her family’s favorites. 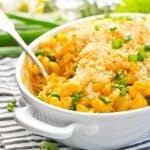 I instantly knew that it would be a hit with my own crew of mac-and-cheese lovers, so I gave it a try the very next week. I had everything in my kitchen and I didn’t even need to run to the grocery store! The tuna casserole was obviously a great success around our dinner table, so Sam said that I could share it with YOU as well! 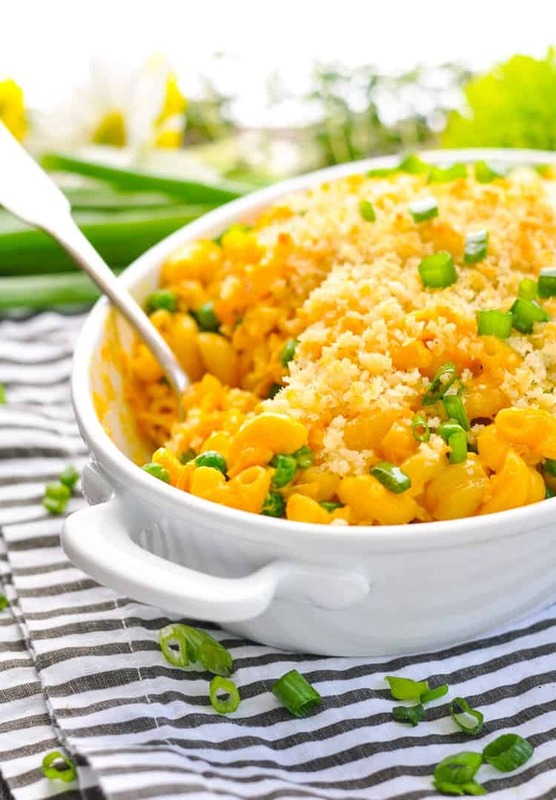 After all, when we’re knee-deep in the hustle of back-to-school season, we could all use a simple one dish comfort food meal to make our lives just a little bit easier! 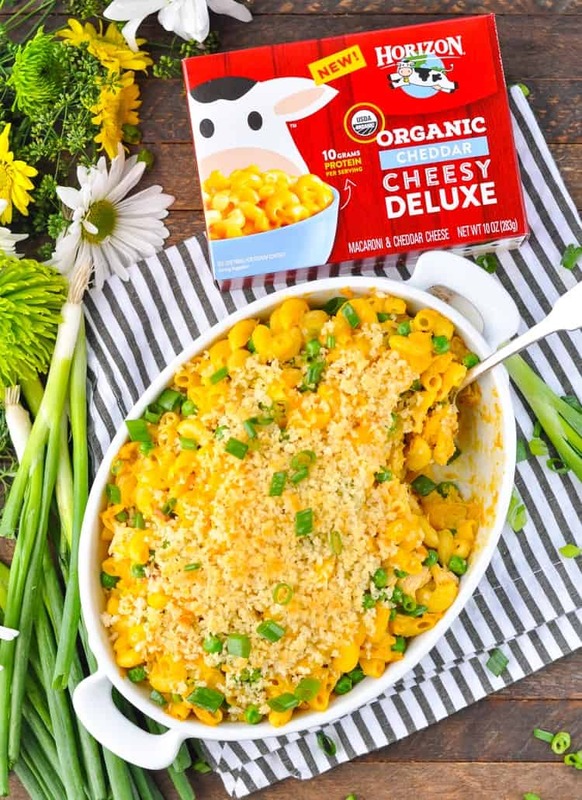 Sam’s original recipe calls for just 3 ingredients: Horizon Organic Cheddar Cheesy Deluxe Mac and Cheese, a bag of frozen peas, and a couple of cans of tuna. That’s it! You get carbs, protein, and veggies all in one dish — so you don’t even have to worry about the sides! 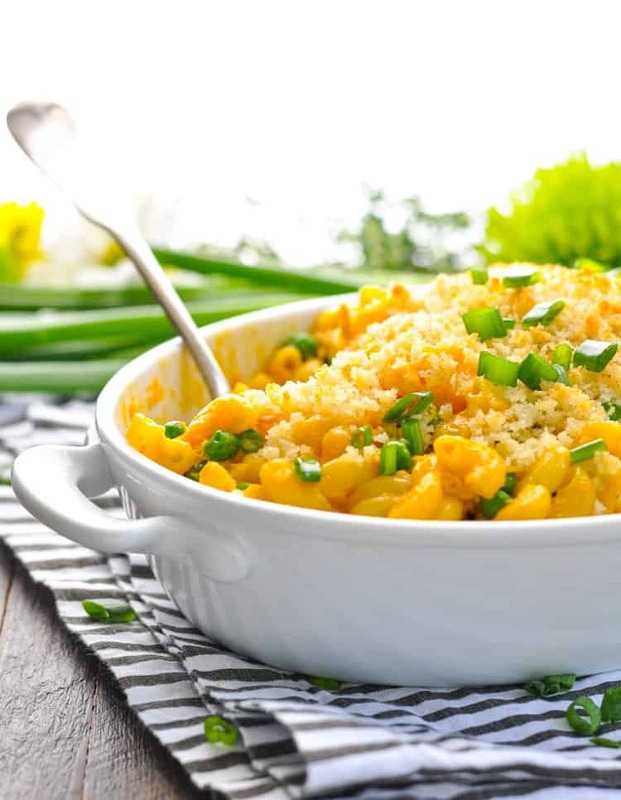 This is my boys’ #1 favorite mac and cheese on the market, which is why I recently stocked up when the boxes were on sale at my local grocery store (2 for $5). Since Horizon’s mac and cheese is made with organic pasta and organic cheese, It’s an affordable dish that I can feel good about feeding my family. Plus, the delicious taste even encourages my boys to eat their seafood and veggies! Anything coated in that cheesy, creamy sauce is bound to be amazing! 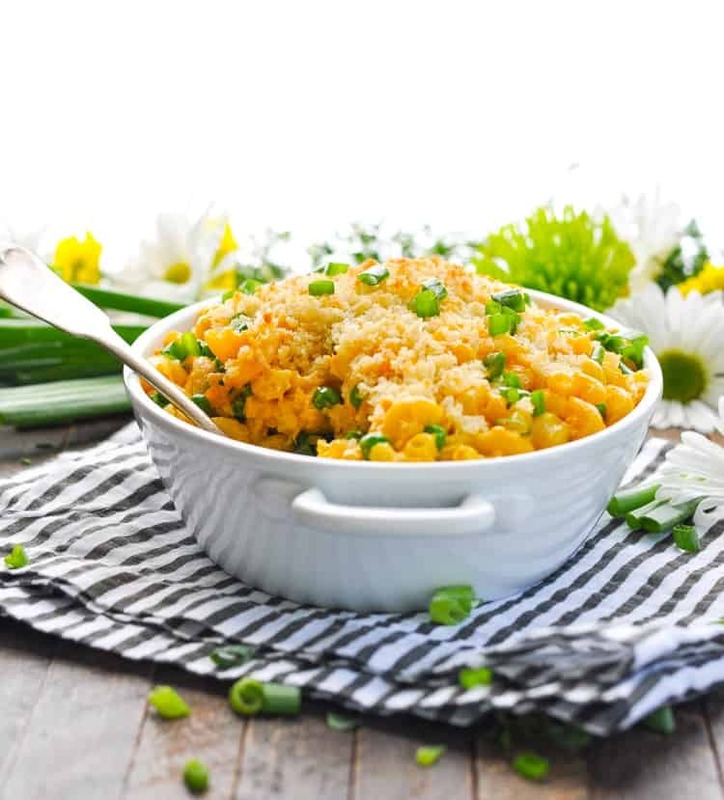 The mac and cheese, tuna, and peas are combined in a large dish, covered with foil, and baked in the oven (just until the peas are heated through and the casserole “sets”). Since my Great Aunt Bee always puts a buttery crumb topping on her tuna casserole, I decided to do the same! This step is totally optional (and it’s not part of Sam’s original 3-ingredient recipe), but I think it makes the dish just a little bit more special. 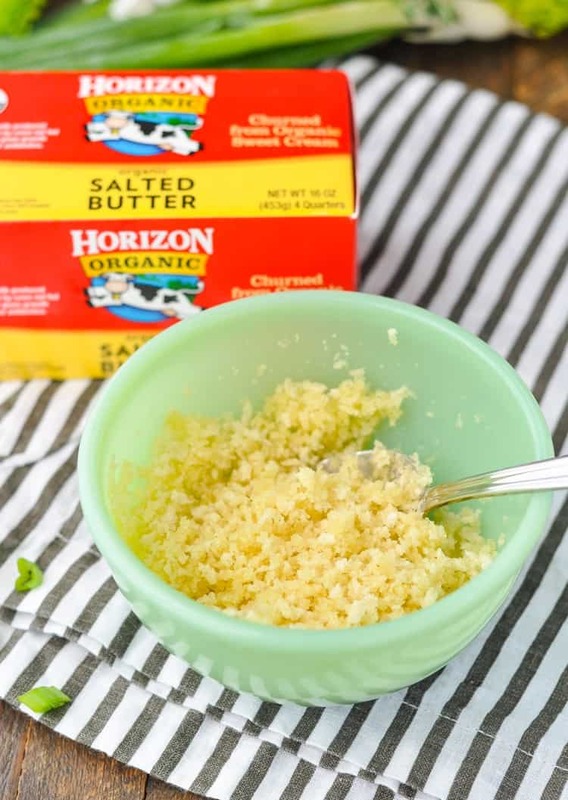 Melted Horizon Organic Butter and a bit of Panko bread crumbs add just the right touch on top! I hope that you enjoy this simple, wholesome, and easy weeknight dinner — just in time for fall comfort food, busy back-to-school evenings, and precious family time together around the table! This is a very easy recipe to cut in half! Use one box of mac and cheese, one can of tuna, and half a bag of peas. Bake the casserole in an 8-inch square dish. Cooking instructions remain the same. Prepare both boxes of mac and cheese according to package instructions. Gently fold in tuna and peas. If the mixture seems a bit dry, add a splash of Horizon Organic milk until it reaches the desired consistency. Pour mac and cheese mixture into prepared baking dish. Cover with foil and heat in the oven for about 10 minutes, or until completely heated through. Remove foil and sprinkle with buttered breadcrumbs, if desired. Return to the oven (uncovered) for 5 more minutes, or until topping is golden brown. Garnish with sliced green onions. Cooking for Two? This is a very easy recipe to cut in half! Use one box of mac and cheese, one can of tuna, and half a bag of peas. Bake the casserole in an 8-inch square dish. Cooking instructions remain the same. I can’t believe it’s almost mid September! I am enjoying the cooler temps and fall, too. And this tuna casserole looks amazing! Definitely one of my favorites from childhood! I’m loving that this is just three ingredients. I’ve got to try this, and soon! Thanks for not forgetting about the single household folks and providing the cooking for 2 comments on all of your recipes! 🙂 This is super easy and yum looking too! Have you ever made this with diced chicken? Yes, Kay — you’re right, this is perfect for Ash Wednesday! What an easy recipe and it sounds so comforting and delicious! I have tried your tuna casserole and it is great that you have made dinner more easier then normal mrala.